To honor University of Kentucky, which Rajon Rondo stayed before joined NBA, Anta release this Kentucky inspired RR professional basketball shoes. This is home colorways for Rajon Rondo. 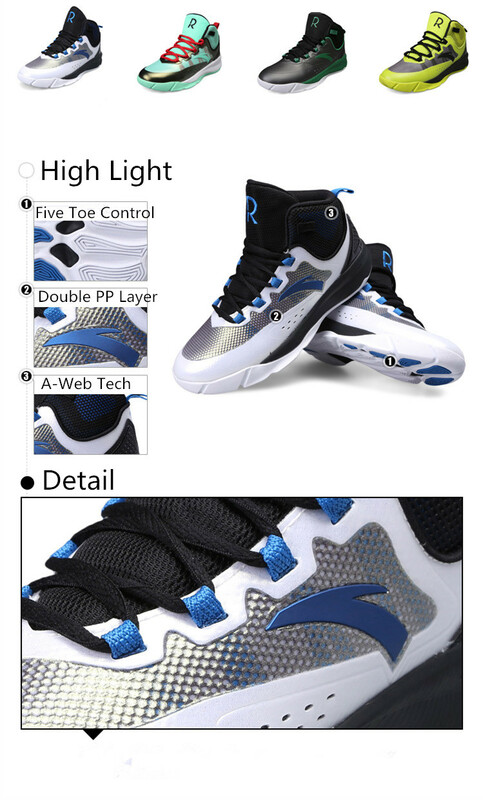 Now you can buy latest Anta Rajon Rondo basketball shoes online from store for cheap price. 5. The framework of PRS is designed with the forefoot first phalanx served as the axis of rotation, which provides auxiliary power for in-motion, sudden stop & change of direction & bounce. Designed to suit athletes’ multi-directional & rotational motions in basketball & tennis. Movement is more flexible which reduces accidental injuries. 6. Rajon Rondo R logo on heel and tongue. Absolutely amazing show! Fits perfectly and allows for foot expansion during intense game play. I will continue to purchase Anti shoes when I need replacements. Additionally, I am inspired by Rondo's basketball play so it adds to the love of the shoe. Love these!! comfortable on my feet! !